A pair of casual fit, gym shorts mens customized with your own designs and artwork is a must-have essential for any sports fan. 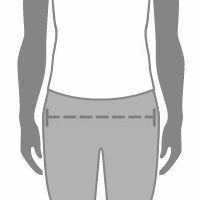 Available in a choice of two sizes, knee length and short, you can tailor your custom training shorts to the sport that you intend to use them for. An asymmetrical front pocket on the right-hand side gives an on-trend, practical way to keep your locker key - or anything else that you might need - to hand and safe. An elasticated waistband, with a functional drawstring, finished with stylish silver colored toggles beautifully rounds your custom gym shorts off. Your gym shorts mens are available in two fabulous jersey fabrics. Rox sports Jersey for a breathable, cool pair of shorts, or Ponte jersey for super stretch and ultimate comfort. Customize the color of the topstitching thread, with black and white options which will also be reflected in the color of the drawstring. Design all over using your artwork, photography and illustrations to create the perfect pair of custom men's gym training shorts. A weft knitted sports jersey with an extremely breathable nature. Perfect for athleisure or sporting garments. Smooth and flat surface. A double knit jersey with fine rib detailing. A matte finish and amazing stretch and recovery. Super-soft, strong and stable. 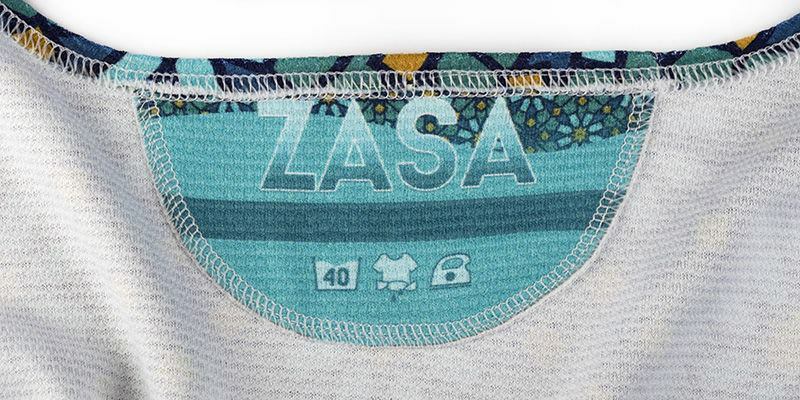 If you plan on selling your designs on, you can add your brand name and information to a fabric label. This gives your custom-made men's gym training shorts a professional, personal touch. Each label is handmade at the same time as your gym shorts men, custom made the way that you design it so you can even personalize it with a personal message or your customer's name. Not only can you design your own training shorts but you can begin building your brand and becoming recognizable at the same time. Your custom gym shorts are a must-have for any sports kit. Pair with a custom vest or cut-and-sew t-shirt for a truly individual look. For that cool down period, a tracksuit jacket or hoodie with a complementary design would finish this stylish, custom look off perfectly. Indeed you can, the drawstring on the men's gym training shorts is a functional one. It spans the entire perimeter of the elasticated waistband giving you amazing adjustability to your custom shorts. Are the shorts easy to care for? Very much so, both of the jersey fabrics are machine washable and can be both tumble dried and ironed on a low heat. We would advise that you do not wring your men's gym training shorts. You can, both the topstitching thread color and the drawstring color are determined by the same design option, but you can choose whether black or white will complement your design best. Browse a selection of training shorts designs which have been put together by #ContradoCreatives.